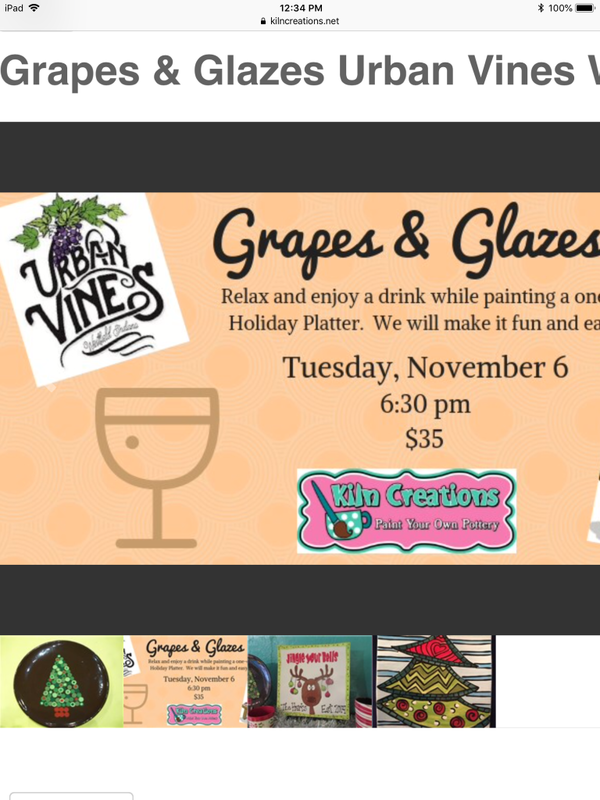 Grapes & Glazes is back at Urban Vines! Enjoy sipping on some wine or beer and create an awesome plate for the holidays. We will be prepared with numerous templates to make it fun and easy for you to create a masterpiece. The cost is $35 plus tax. This cost includes a square 10" plate, supplies, instruction and a glass of wine or beer. Pottery will be ready to pick up in 7-10 days at Kiln Creations. Charcuterie and food are available at bar. Space in our cellar is limited. Sign up today!